I hope you had a wonderful weekend! Thank you for letting me know your thoughts on last weeks post. Things are moving along with the new website and blog. I'm so excited to see how it's coming together, and can't wait till it's live! 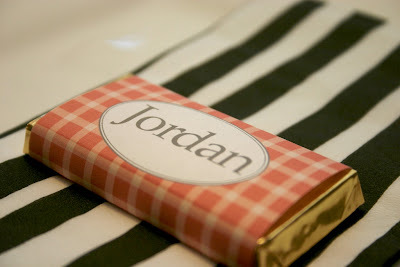 I had these mini chocolate bars from Alidi, in my supplies. I cut out some wrappers for them, pulled out some fabric and napkins from my prop cupboard, put some oranges and lemons in a bowl, and viola! It added a little spice to our meal that night. So many times, I feel like I don't make the most of the moments, so when I do...I want to shout it from the rooftop!! Birthdays only come around once a year, but you can make 'mini-celebrations' anytime...about anything...or nothing! 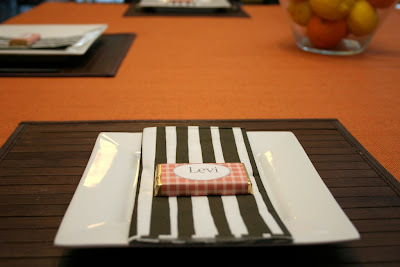 Have you created a mini-celebration at your place recently?